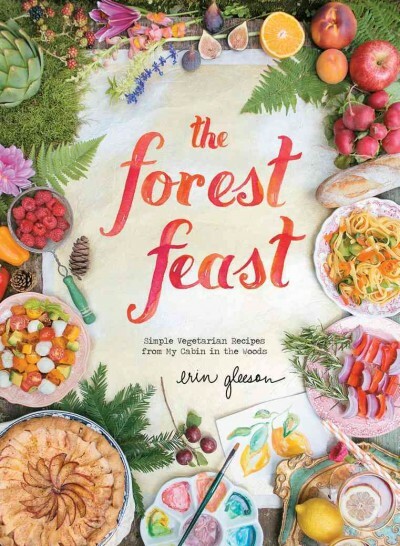 This is a gorgeous cookbook using mixed media illustrations. Photographs mixed with watercolors and hand lettering make for a very picturesque presentation. Although this book is focused on vegetarian dishes, many could be used as side dishes or even modified to include meat. In the introduction, Gleeson talks about her process of making this book a reality and her love for art and nature. I liked this quote, "I am drawn to color and shape, so often my dishes will start with that in mind. We could have mashed potatoes, or we could have purple mashed potatoes. Adding color makes it just a little more fun!" I made and enjoyed both the Garlic Knots and the Butternut Caprese Salad and would recommend this book to anyone interested in beautiful cookbooks or delicious food!